Planning is a crucial step in any gathering. We plan so many small details and sometimes overlook larger ones as a result. Besides knowing how many balloons you want for the effect and look you're going for (as well as what suits your venue), you'll also need to know how much helium you'll need. If you own your own helium tank and know you have some leftover from a previous event, don't guess as to how much pressure you have. Some people may remember exactly how many balloons they inflated last time, but most of us probably won't. Plus, you'd have to take into consideration the sizes of the balloons inflated and if they were over or under-inflated. Now it's getting trickier. 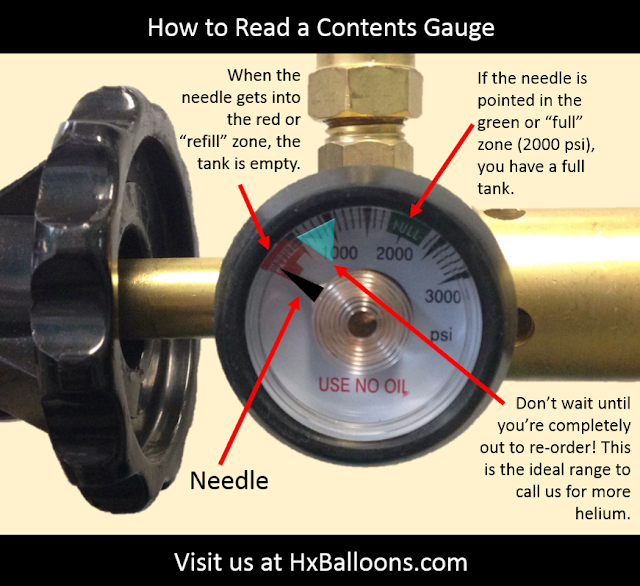 To avoid any guessing, we suggest making an investment in a balloon filler with a contents gauge and quick tie needle (also known as a disc hook). Spoiler alert: We'll discuss the benefit of the balloon tie disc in Part IV of our series. Chances are you own a balloon filler valve already, otherwise you wouldn't be able to inflate balloons. Not everyone has a valve with a contents gauge though. 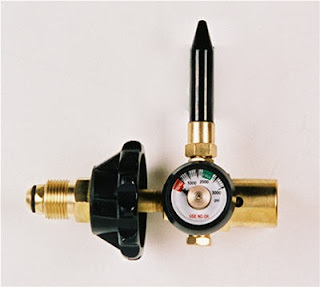 This is beneficial as it will always tell you exactly how much pressure you have in the helium tank. It takes all the guesswork away and makes it easier for you to plan. If the needle is in the red (literally), then you know it's time to get a refill or swap out tanks. Need another reason to love this? It doesn't require a wrench to tighten! That's right. It's hand-tighten only. This makes it a convenient option for those who transport their helium tanks. You don't have to carry any additional tools, just the valve. Having a gauge is one half of the battle. The other half is knowing how to read the contents gauge properly and using this knowledge to your benefit. See our info graphic for all the details. Don't get caught without enough, and ditch the stress that comes with it! 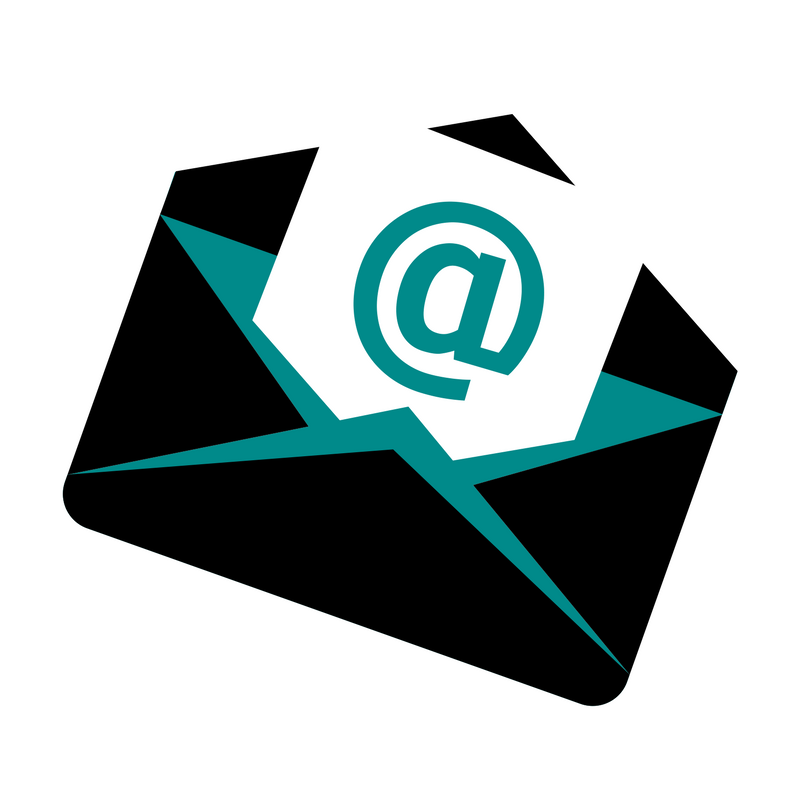 Need more tools and tricks to work efficiently?